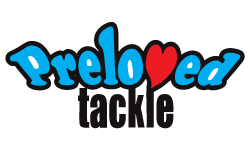 Blustery conditions are often considered the achilles heel for fly anglers as they play havoc with distance, accuracy and turnover. This is why it pays to develop your casting skills to deal with whatever is thrown at you, especially where a headwind is concerned. 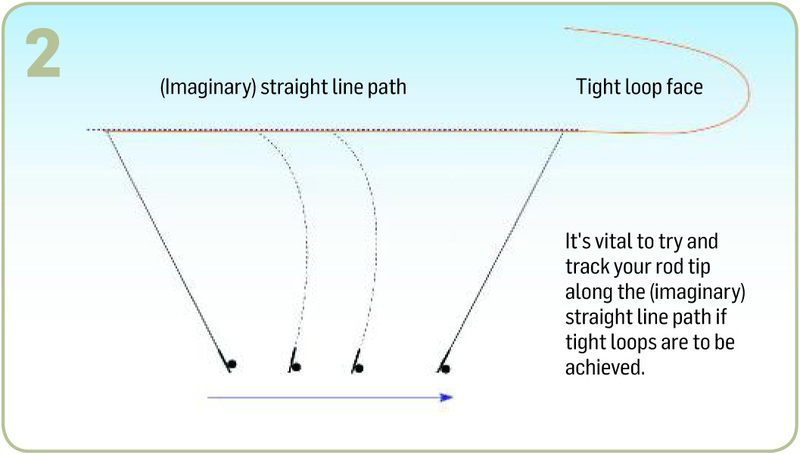 You should be aiming for a tighter loop with higher line speed.  The longer you leave your fly line in the air, the more likely it will be blown off course and loose its energy. 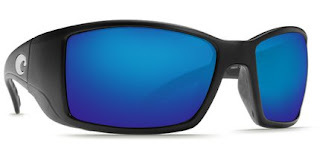 A major fault when attempting to tackle a headwind is overpowering the forward cast. 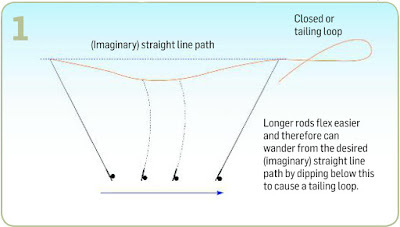 This action ‘shocks’ the fly rod, causing it to dip below its ideal straight-line path (diagram 1 below) and ultimately throw a tailing loop. 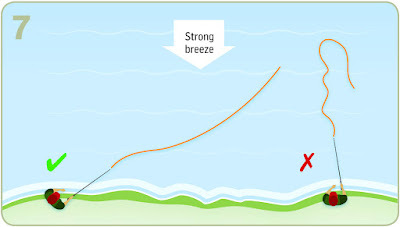 It’s difficult for beginners to comprehend, but a smooth, steady acceleration of the rod with a definite stop will maintain this desired straight-line path (diagram 2) that forms the much sought-after tight loop to penetrate blustery winds. To achieve a smooth acceleration to a positive stop, imagine you are holding a paintbrush loaded with paint and you are going to splash, not brush, the paint on a fresh canvas. In this movement, you start to move the brush slowly, and gradually increase the speed before stopping the brush a few inches away from the canvas. As you stop the brush, the paint will fly off and splatter the canvas. 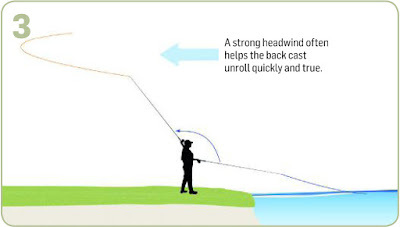 In casting, if you repeat this movement on the forward cast with a fly rod, the rod will transfer its energy into the fly line and deliver a nice loop. Additionally, if you execute a single haul on the forward cast, this not only increases line speed but maintains a tensioned line at all times, which is the key to effective casting. 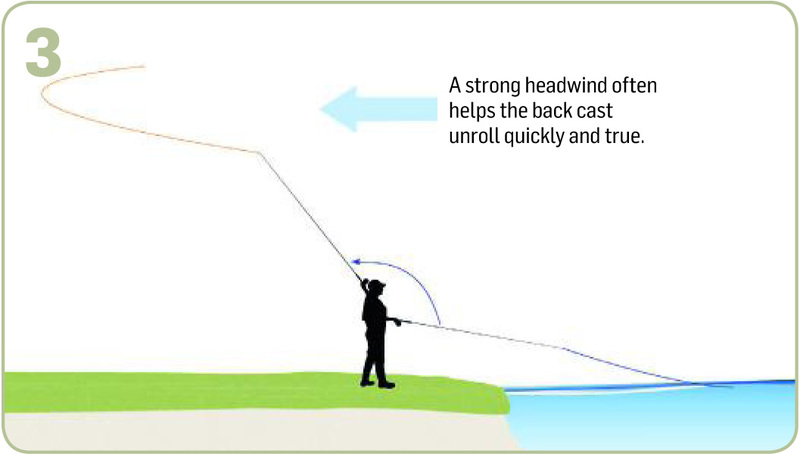 You can, of course, include a haul on the backcast too, which gives you a double haul, but remember that line unrolling on this part of the cast will be helped along by the wind (diagram 3), so it isn’t a necessity! 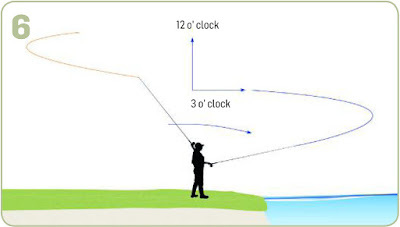 As newcomers to fly fishing are likely to be unfamiliar with a double, or single haul, on the forward cast, decent turnover can still be achieved with or without a short tug on the line after stopping the rod on your final forward delivery. This helps the business end flip over positively. The pull should be no more than six inches, but be sure to make it quite abrupt. 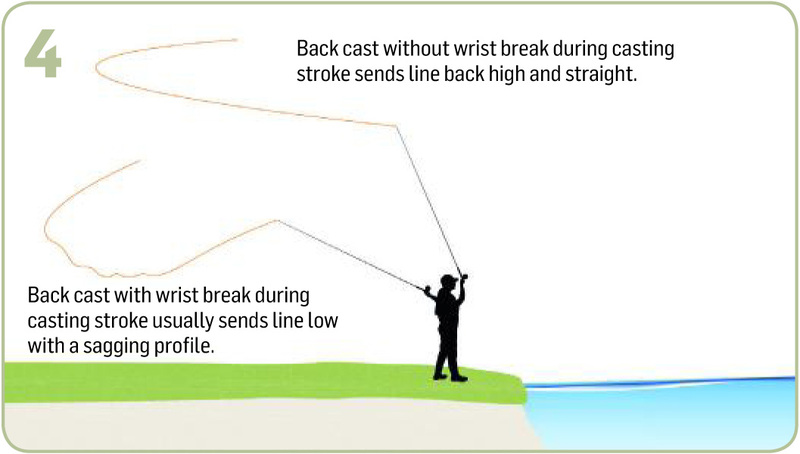 Chronic wrist break during casting can be detrimental, especially when combating breezy conditions. Generally speaking, this occurs on the back cast. With no definite stopping point, not only are more open loops thrown, but it’s likely your line will be directed towards the ground rather than straight back (diagram 4). Now, much of the forward casting stroke is wasted by simply drawing the line taut and straight again. Using a wrist support can help with chronic wrist break. However, controlled wrist break can be a huge benefit when driving a fly into a niggling breeze. 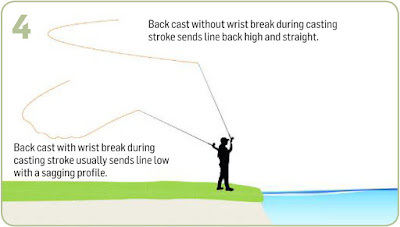 By 'controlled' we mean deliberate when the actual wrist break on a back cast occurs after we’ve stopped the rod tip. Now, as we wait for the line to unfurl behind us, we can crank our wrist open. This, in turn, moves the rod tip back as well. This powerless movement is similar to drift, which generally involves a repositioning of the hand and forearm. 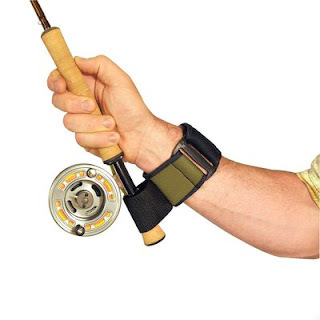 When it comes to completing the forward cast, now we can stroke forward with the wrist still open. Only when the forearm has nearly stopped moving do we snap the wrist shut by flipping it forward in one swift movement (diagram 5). As little force is required here, chances are the rod will not be subjected to unwanted shock and buckle unnecessarily. Instead, the rod tip moves extremely quickly through a long arc, generating massive line speed so the line literally zips out. 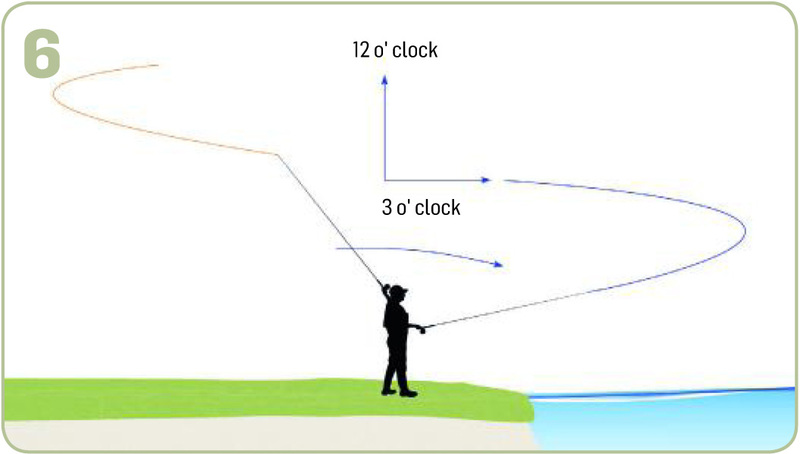 Something else to consider here is to drive the rod forward to the 3 o’clock position (horizontal) on the casting clock (diagram 6). Although this contradicts the usual 2 o’clock stopping point, it ensures tension at all times. Don’t worry about your line crashing down either as a headwind sees it travel clear of the water. 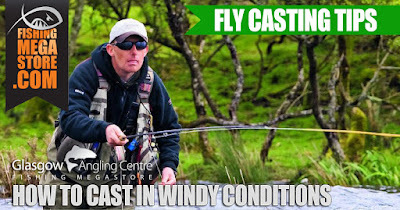 Another useful tip when a wind whistles into your face is to angle your casts slightly to the breeze, rather than aim directly into the teeth of a gale. You might well expose more of the fly line to what is, in effect, a side-wind, but this helps maintain a tensioned line. As the line is being delivered at an angle rather than square on, the distance will suffer a little (diagram 7). 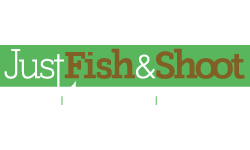 Chances are these casts will turn over more consistently, providing a better presentation and immediate contact with your flies. 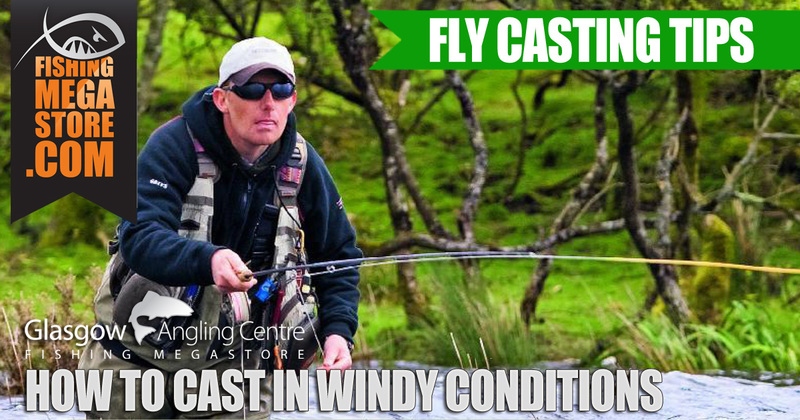 A weight forward is by far the best type of fly line in windy weather. With a weight forward, less line is exposed to the elements and once line speed is achieved with a few false casts, the line shoots forward. 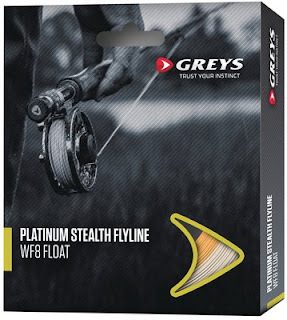 A good weight forward line to use in windy conditions is the Greys Platinum Stealth. 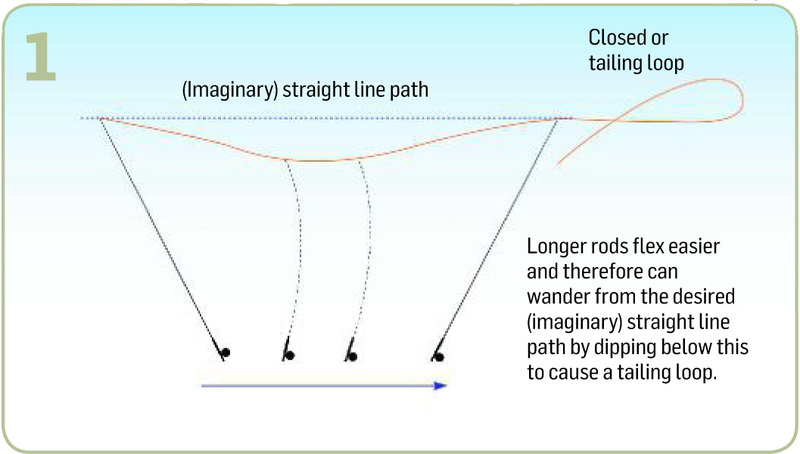 It could be argued that longer fly rods act as longer levers, generally beneficial for distance casting. However, rods of 10ft or so become more cumbersome when battling a breeze, simply because more carbon is being turned over in the air. This might only be 12 inches when compared to a 9ft rod, but, as the blank is moving at speed, resistance is amplified several fold. 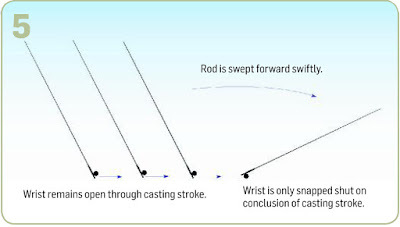 Competition casters frequently use 9ft 3in rods as these generate the highest tip speeds. So a rod of approximately 9ft is perhaps the best weapon of choice during a gale.  A suitable rod for windy conditions is a Geys GR70 Single Hand Fly Rod. Changing your leader set-up for casting in wind can pay off for sure. 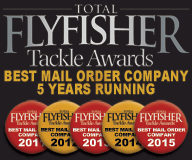 Shorten your leader and opt for stiffer tippet material to ensure the fly turns over. If the leader is too long, it will be harder to turn over, especially if you are using a light fly.  Finally, there are many other variables to consider when fly casting, which is beyond the scope of this article, however, if you really want to improve your technique, it's worth investing in casting lessons with a fully qualified casting instructor.  They will be able to assess your technique and point out areas that need improvement. More importantly, you need to practise the fixes so they become ingrained in muscle memory.